The Chinese Exotic examines new representations of diasporic Chinese femininity emerging from Asia Pacific modernities since the late twentieth century. Through an analysis of cultural artefacts such as films, popular fiction, food and fashion cultures, the book challenges the dominant tendency in contemporary cultural politics to define Chinese femininity from a mainland perspective that furthermore equates it with notions of primitivism. Rather, the book argues for a radical reconfiguration of the concept of exoticism as a frame for understanding these new representations. This engaging study raises important questions on the relationship between the Chinese diasporas and gender. The Chinese Exotic provides a timely critical intervention into the current visualizations of diasporic Chinese femininity. 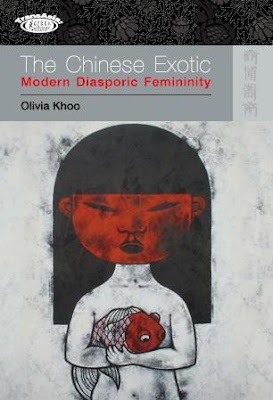 The book contends that an analysis of such images can inform the reconfigured relations between China, the Chinese diasporas, Asia and the West in the context of contemporary globalization, and in turn takes these new intersections to account for the complex nature of modern definitions of diasporic Chinese femininity. >> TO ORDER YOUR COPY OF THE CHINESE EXOTIC, CLICK HERE. The East-West Center invites graduate students from around the world to submit papers for the 7th Annual International Graduate Student Conference on the Asia Pacific region, taking place in Honolulu, Hawai`i, USA from February 14-16, 2008. The Conference will provide an opportunity to share interdisciplinary perspectives formally (through presenting papers and attending other panel presentations) and informally in the warm and encouraging environment of the East-West Center in Hawai`i. Participation in the 2007 conference had broad representation, consisting of graduate students representing 27 nationalities, from more than 50 universities throughout the world. Abstracts (up to a maximum of 500 words in length) of proposed papers or posters are invited from intending participants at this time. Papers are encouraged from the array of disciplines focusing on the region. Fields represented in past conferences include (but are not limited to) Anthropology, Area Studies, Business, Culture, Education, Economics, Environmental Studies, Ethnomusicology, Geography, Governance, Health, History, Linguistics, Philosophy, Politics, Population, Sociology, and Urban & Regional Planning. The deadline for abstract submission is Thursday, November 1, 2007. A limited number of travel grants will be available for graduate students from other countries, the continental U.S., or from the neighboring islands of Hawai`i. The College English Association - Caribbean Chapter (CEA-CC) will hold their 2008 Spring Conference in the University of Puerto Rico-Arecibo (Puerto Rico) on the 29th of February and the 1st of March. The 2008 conference will address the general topic of race and writing. We invite proposals for 20-minute papers on any aspect of the topic, from a literary historical, critical, theoretical, interdisciplinary or other perspective. The proposals are not limited to English language literature. Send 200-word proposal for 20-minute paper to José Jiménez-Justiniano at cea.caribbeanchapter@gmail.com. The tentative deadline for submitting proposals is December 15th, 2007. Proposal should be sent as part of a text message, not as an attachment.